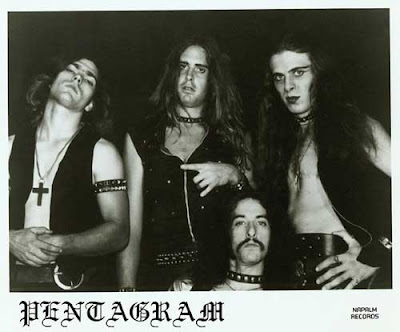 I'm now really pleased to present you all with some Pentagram demos from the early 70s. This is a really cool listen for many reasons, one of which being that these were released around the same time as Black Sabbath's self titled and so I can safely say these are some of the earliest roots of doom metal, and I guess just metal in general. This is definitely a hidden gem and all and all these are some really cool, raw demos from a legendary and iconic band, so listen away and for god's sake... enjoy! Man, I'd really love to have this. Is there a way you can upload it to rapidshare or something? Thanks.